Fans got to meet the two new faces of the Star Wars franchise in The Force Awakens, with Rey and Kylo Ren continuing the battle between the Light and Dark Sides of the Force. But there are still a lot of mysteries surrounding those two characters, and they might have more in common than we thought. Actor Daisy Ridley recently spoke with Yahoo! Japan about Rey, Kylo Ren, and their connections to the Force in Star Wars: The Last Jedi, offering some intriguing insight. "What you should pay attention to is that The Last Jedi is putting out the message that things might not always be so clearly black-and-white," said Ridley. "The dividing line between good and evil is becoming more and more ambiguous, and you could say that the relationship between Rey and Kylo symbolizes that." 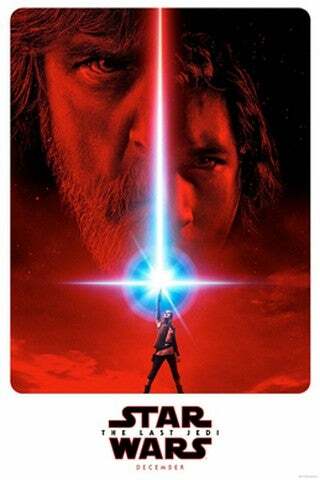 Many fans have theorized over the inclusion of Grey Jedi lore in the new film, especially with all of the interesting bits of dialogue from Luke Skywalker that has been made public. But it might not be Luke who embody the balance of the Light and Dark sides of the Force, but these two new characters. "Kylo actually believes that his own actions are correct. What about Rey?" Ridley said. "Will she make the right choice? Through such multifaceted characters, [the movie] brings out truths that have never been seen before. The ideas that Johnson, the director, has are really amazing!" Ridley's perception of Kylo Ren is particularly interesting considering it doesn't exactly line up with actor Adam Driver's own interpretation. He previously said that he believes the character is almost pretending to be something he is not. "I remember the initial conversations about having things 'skinned', peeling away layers to evolve into other people, and the person Kylo's pretending to be on the outside is not who he is," said Driver during an interview with GQ. Fans will get to see Rey and Kylo Ren's next confrontation when Star Wars: The Last Jedi premieres in theaters on December 15.